Since 2010, Ashley has landed on the competitive wake surfing podium more than 28 times, a feat that no other athlete can claim. In fact, Ashley has never finished lower than second place in any competition, a remarkable achievement for anyone. Ashley’s boat is the Enzo FX44 PCM super-charged 550 HP with the Hammerhead Bow, Centurion’s 2014 sensational 24-foot “wider bow” boat with CATS and RAMFILL. The Centurion FX44 is regarded as the best wake surfing towboat on the market today. What’s interesting is that Ashley Kidd grew up in Corpus Christi, Texas afraid of the water, but by her on-water accomplishments you would never know it. 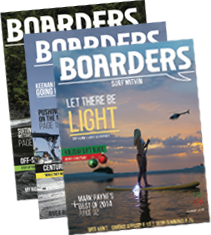 When she was only fourteen years old, her older brother convinced her to try wake surfing. A year later, she decided to go to the World Wake Surfing Championship to compete and took second place in the women’s amateur division. Soon, she was flooded with professional endorsement offers and after spending time with another boat sponsor; Ashley decided to switch to Centurion Boats. Centurion Boats has been the towboat of the prestigious World Wake Surfing Championship for more than ten years. Ashley had this to say about the move to Centurion. “I love Centurion's dedication to wake surfing and the continued commitment to innovation and the growth of wake surfing. I’m just so excited to be a part of the team that created it all and to be able to train year-round behind my Enzo.” Ashley has also been quoted to say that she is always trying to learn new tricks to help progress women’s wake surfing further. Indeed, no other female competitor has had more influence on the sport than Ashley Kidd. Todd Gaughan, Centurion’s VP of Marketing said, “We could not be more excited to have one of the most progressive and challenging women’s competitors on Team Centurion. 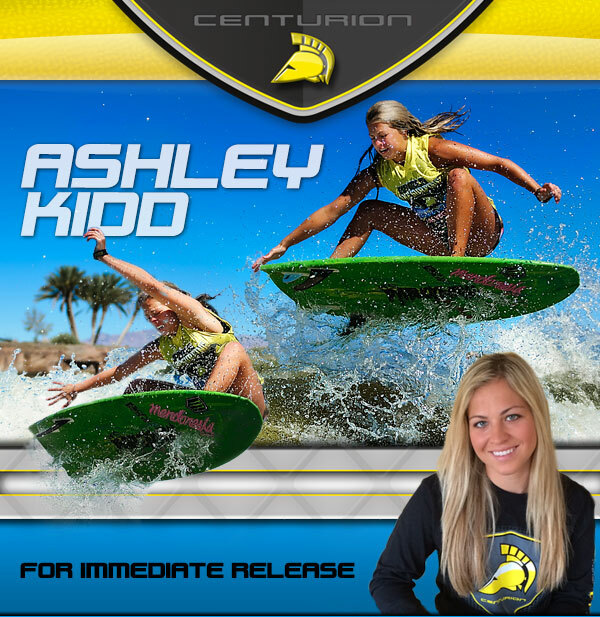 With this addition to the best wake surfing team on the water, this season is going to be fun to watch!” For more information please visit the team page on CenturionBoats.com or contact Centurion at 209-384-0255. About Centurion: Centurion Boats is most recognized as the first boat company to produce a dedicated wakesurfing boat and with its new Enzo FX44 model, Centurion remains at the top-of-the-class in this space. In addition to world-class wakeboarding and slalom ski boats, Centurion has been a pioneer in watersports towboat technology. Centurion held the first World Wake Surfing Championship in 1995, an event that has grown to become the world’s largest, annual, premier wake surfing event. For more information please contact Centurion Boats at 209-384-0255 or visit www.centurionboats.com.